After the announcement, Biogen lost its bragging rights as the state’s most valuable biotech to Vertex Pharmaceuticals. Investing in biotech stocks is not for the faint of heart. Stomach-churning price drops are routine when a drug trial fails or regulators reject a new treatment. But what happened to Biogen Thursday was far from routine. The Cambridge company watched its stock plunge 29 percent, wiping out $18 billion in market value, after disclosing it had basically given up hope for an experimental Alzheimer’s drug that it — and many of its investors — were betting would be Biogen’s next blockbuster. The damage was so bad that Biogen lost its bragging rights as the state’s most valuable biotech to Vertex Pharmaceuticals, whose market cap rose to $46.7 billion by the end of the day as Biogen’s bottomed out at $44.6 billion. The Cambridge biotech and its Japanese partner concluded the drug was unlikely to benefit patients. 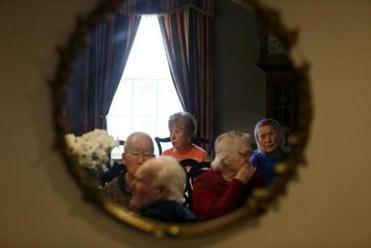 Patients and families with dementia were discouraged by the announcement. This is reality for the state’s premier industry, one that employs more than 70,000 at hundreds of companies. Massachusetts is lauded as the biotech hub of the world; nearly every major company involved in drug development has a presence here. But with that comes the white-knuckle roller coaster ride of scientific breakthroughs and setbacks, rapid hiring and drastic firing, enormous wealth creation and sudden losses. Implosions mostly happen to much smaller companies still working to get their first drug to market. 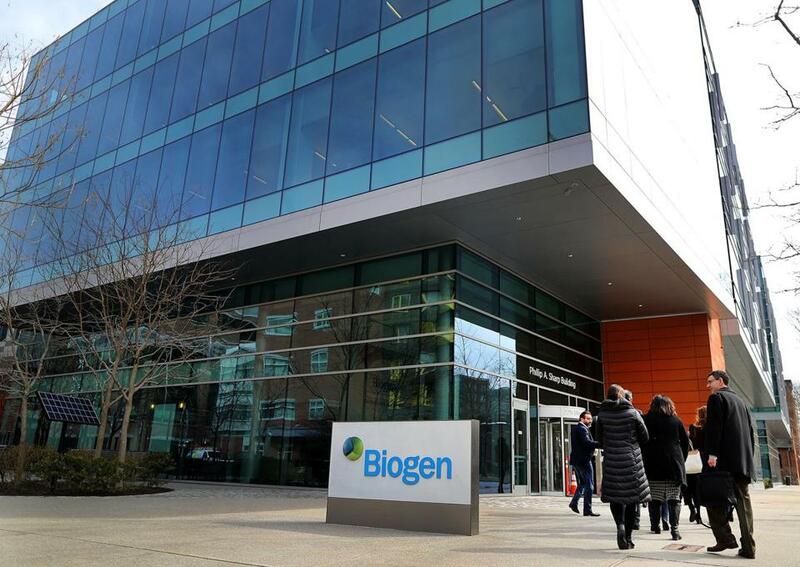 Earlier this month, ImmunoGen’s stock fell 47 percent after the Waltham-based company said its ovarian cancer drug failed to meet targets in a late-stage trial. Karyopharm Therapeutics of Newton lost 43 percent last month when the Food and Drug Administration raised concerns about the effectiveness and safety of its blood cancer treatment. Also in February, Cambridge-based Solid BioSciences tumbled 68 percent on poor results from a small trial of its Duchenne muscular dystrophy drug. But as bad as it was, Biogen’s blowup isn’t the worst the biopharma world has seen. In August 2016, Bristol-Myers Squibb shed $21 billion in market cap when its best-selling cancer drug, Opdivo, failed in a trial to treat lung cancer. For some investors, the pain was softened by the $16 billion surge in the value of Merck, whose rival Keytruda drug stood to gain from Opdivo’s loss. Yatin Suneja knew he was going to have a tough day the minute the Biogen news hit the financial wires at 7 a.m. Almost immediately, the e-mail box of the analyst at Guggenheim Securities began filling up with questions from clients: How far is the stock going to fall? Will Biogen buy another biotech to make up the lost revenue? “Our traders were calling us, wanting to what’s going to happen,” he said. Despite the stock’s violent selloff, the news that Biogen halted two trials of its drug, called aducanumab, wasn’t a bolt out of the blue. So many other drugs for Alzheimer’s have failed that Biogen’s effort was considered a long shot. So why did so many investors own the stock? Fear, said Suneja. No one wanted to miss out if aducanumab was a hit. It could have been a home run — a long home run. But Suneja had advised investors in February to stay on the sidelines, saying the chance of a big payoff was not enough to offset the risk of big losses. What makes biotech investing so particularly volatile is that developing new drugs is a long, expensive crap shoot. Andrew W. Lo and other researchers at MIT estimated last year just under 14 percent of drugs make it from their first round of trials to final FDA approval. And that is the optimistic outlook; other studies have put the approval rate at 5 percent to 10 percent. The cost of getting a new prescription drug to market is almost $2.6 billion, according to a 2014 study by the Tufts Center for the Study of Drug Development. But the payoff can be big when a company is successful. Even after Thursday’s drubbing, Biogen’s stock has risen almost 390 percent in the past 10 years, compared with 265 percent for the Standard & Poor’s 500 index, a benchmark for the biggest US stocks. The Nasdaq Biotechnology index has climbed nearly 430 percent. With gains like that, investors are always willing to the roll the dice. Even now, some are wondering if it’s time to jump back into Biogen. The consensus among analysts was no. A common measure of a stock’s relative value is the multiple of its price to estimated earnings per share. At its current price of $226 a share, Biogen is trading at a multiple of about eight times earnings. It will take a decline of about 10 percent to put Biogen in the bargain bin. “Everyone is trying to understand where the floor is,” said Suneja, the Guggenheim analyst. That could take a while. Like I said, not for the faint of heart. Larry Edelman can be reached at larry.edelman@globe.com. Follow him on Twitter @GlobeNewsEd.